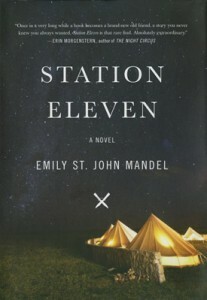 “Station Eleven” is a literary, post-apocalyptic page-turner. Twenty years after a deadly flu outbreak kills most of the world’s population, what survives? What matters? This haunting novel begins with the on-stage death of famous actor Arthur Leander during his performance of King Lear, which coincides with the beginning of the pandemic. The narrative moves back and forth between Leander’s younger life and 20 years after his death, weaving the stories of a handful of people connected to him – some closely, like his ex-wife, and some by the smallest thread, like the EMT who attempted to save his life or the child actress with whom Leander briefly shared a stage. A lyrically written examination of the importance of art and what it means to be human. She is the author of four novels, including “Last Night in Montreal,” “The Singer’s Gun” and “The Lola Quartet.” “Station Eleven” is her most recent novel and was a finalist for a National Book Award, the PEN/Faulkner Award and the Arthur C. Clarke Award. She is a staff writer for online magazine The Millions and lives in New York City with her husband. 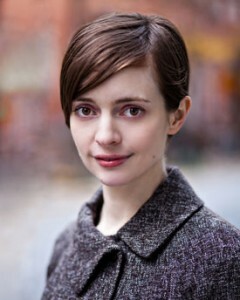 Biographical info from emilymandel.com and the Books & Authors Database. Thanks! We are excited about the program possibilities and looking forward to the author’s visit on September 10 – mark your calendar!